The Kidder Trail (red on the map) leaves the parking area at the end of Morgan Hill Road. It ascends, together with the Morgan Hill Loop Trail, reaching the intersection of these two trails at about 0.1 mile. 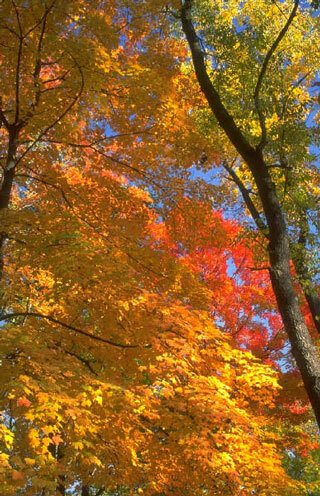 The Kidder Trail continues straight ahead, climbs for another 0.1 mile then descends, crosses the New London - Springfield town line, and continues descending to Perley Road where, at 0.9 miles, it meets the Morgan Pond Trail. The elevation profile for this trail starts at the Morgan Hill Road trail head and continues to the Morgan Pond Trail. 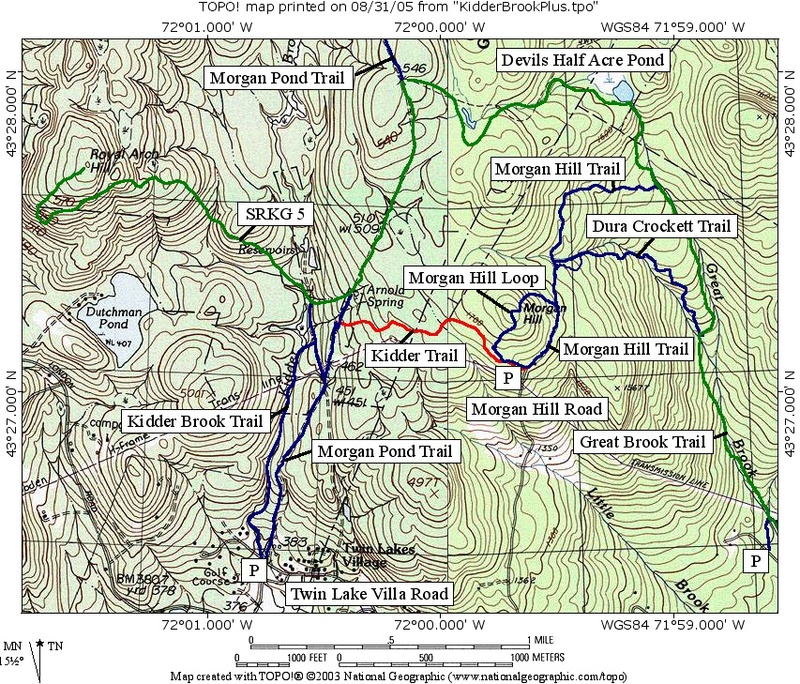 A loop hike is possible following the Morgan Pond, SRKG Trail 5, Great Brook and Morgan Hill trails or by descending to the trail head on Twin Lake Villa Road then heading up the Kidder Brook Trail and connecting back to the Kidder Trail.